This is our next post in our series discussing why residents of Dallas, Texas need a will. Our last article discussed why parents of minor children need to designate a guardian in the event that they die or become incapacitated. Most parents have someone in mind to raise their children, but it takes quite a bit more than that to make sure that your children are cared for by someone who you chose. You also need to decide who will manage their finances. That may not be the same person that raises them. In this post we will take that thought process one step further and discuss how you can care for your minor children financially. Dallas parents can fund the care of their children through a testamentary trust. Once you decide who will care for your children if you are unable to, the second thing that Dallas parents need to address in a will is when and how your children will inherit your assets and who will manage those assets while they are minors. You can’t simply say that in the event of your death, little Bobby and Susie get all your money. You need to use your will to establish a mechanism to manage their assets such as a testamentary trust. This trust only comes into effect in the event of your death; the trust is not funded and your children have no access to any money as long as you are alive. All minors are deemed to “lack capacity” until at least age eighteen, which is a good thing, because very few people are good at managing money at a young age. You can decide at what age you would like for your children to have full control over their inherited assets. Some parents choose age eighteen, but it is currently more common to choose an age closer to adulthood, like twenty-five. In the trust you name a trustee to oversee your assets and to decide how best to spend them for your children’s benefit until your children are old enough to manage them for themselves. You can pick anyone including the same person you designate to be the guardian of your children. Keep in mind, however, that the best person to raise your children may not be the best person to manage their money. That largely depends on that person’s financial management ability, as well as the complexity of your estate. We have one client whose estate includes several businesses interests, numerous investments, large amounts of cash, and over sixty mineral interests. You can imagine that not everyone can or should take on a project like that. You should also name at least one alternate to serve as a back-up trustee as well in the event your first choice cannot serve. Dallas parents need to keep their wills updated so that they will meet all current legal guidelines. 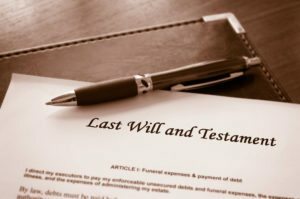 Once you have taken the first step of writing a great will that cares for your children in the event of your death, you need to keep it updated periodically. At least every five years, you should revisit the decisions you have made to see if they are still appropriate in your current circumstances. It is common that as your children age, the person who once seemed like an obvious choice as guardian is no longer a good fit for guardian. A grandparent may no longer be up to the task of raising teenagers. Likewise, if your family situation changes, such as an increase or decrease in wealth or an addition of another child, you may need to revisit these decisions. Also, periodically state probate laws change, so it’s good to have an attorney review your will as well. In our next blog post we will discuss how having a will can save you money. If you require assistance with the drafting of a will then contact our office to speak with a lawyer. In addition to Dallas, our probate attorneys service the Highland Park, Plano, Denton, Fort Worth, and McKinney, Texas areas.